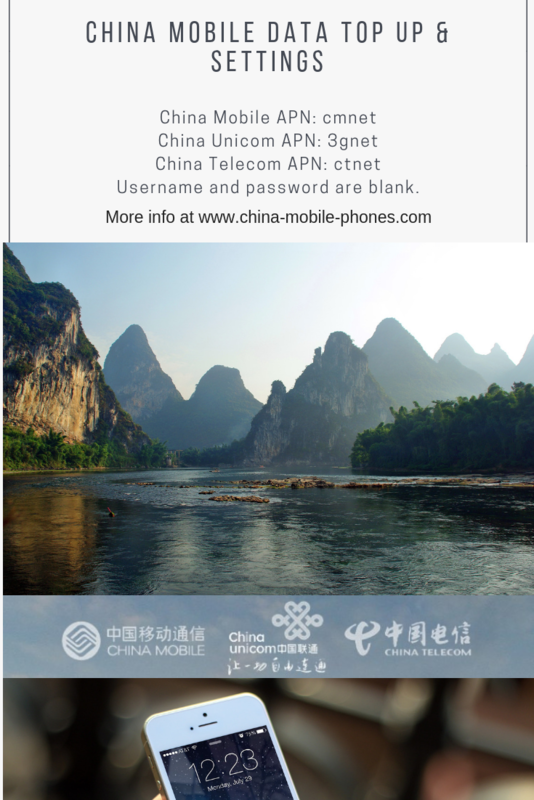 Currently China Mobile Data Top up supports numbers from China Unicom, China Telecom and China Mobile. Please feel free to contact us, if there is any questions. Purchasing is non-refundable after data topped up. Before data top up, an account must be in active status with credit for voice calls. The recharge service is not available for expired or invalid cell phone number or SIM card. Data recharged is for using in a current month. Top up hours are between 7:30 am to 8:00 pm (Monday to Sunday). After a payment received, we will email you to notify when top up is effective. For the most numbers, it is effective on the same day. What if my phone still can not connect with internet ? Please go to phone settings. Click mobile network. Turn on mobile data. Find Access Point Names (APN) on mobile network settings, choose your mobile network, and reset APN. The Username and password are blank.